Have a good look at the photo above...don't they look like they are "Dancing" and "Embracing"? I grew up in a place surrounded by acres and acres of rice paddy fields. Its a vast open space as far as the eyes can see. The ground changes colours from murky brown muddy field to lushes green to yellow to brown to bone dry earth, and it starts all over again. With abundance of rice grains, its not surprising that some of us (me included), can have rice for breakfast, lunch, teatime and dinner. 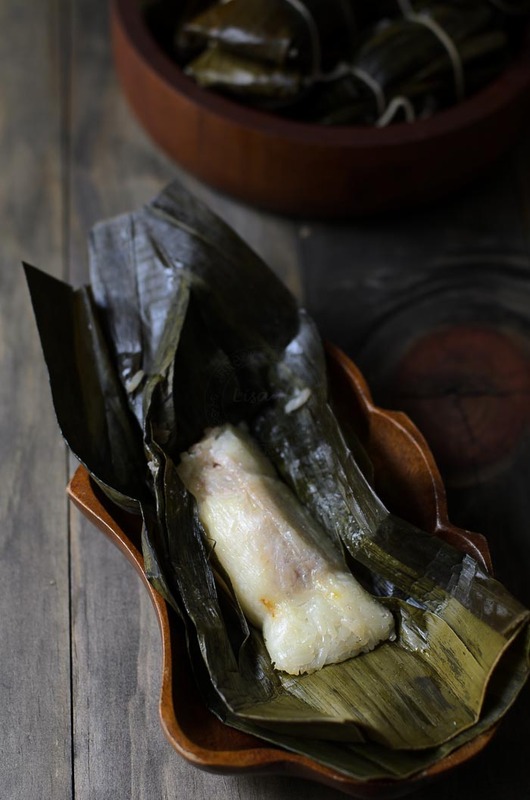 Sticky rice banana parcel is yet another finger food that is eaten either for breakfast or afternoon tea. My mom used to make this for our breakfast on weekends or school holidays, a nice change to my usual margarine, sprinkled with sugar 2 slices of bread. 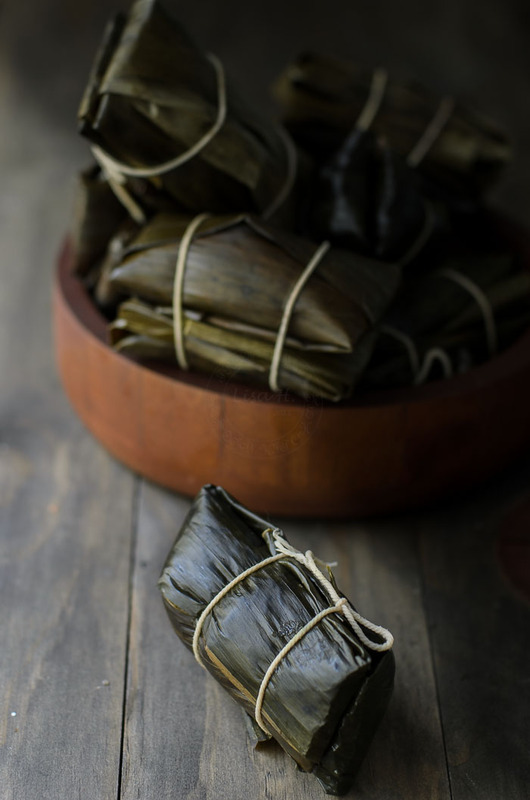 She'd prepare the rice the night before, wrapped and tied these little bundles of dancing couples for steaming the next morning. It was a joy to wake up to one of these babes :). 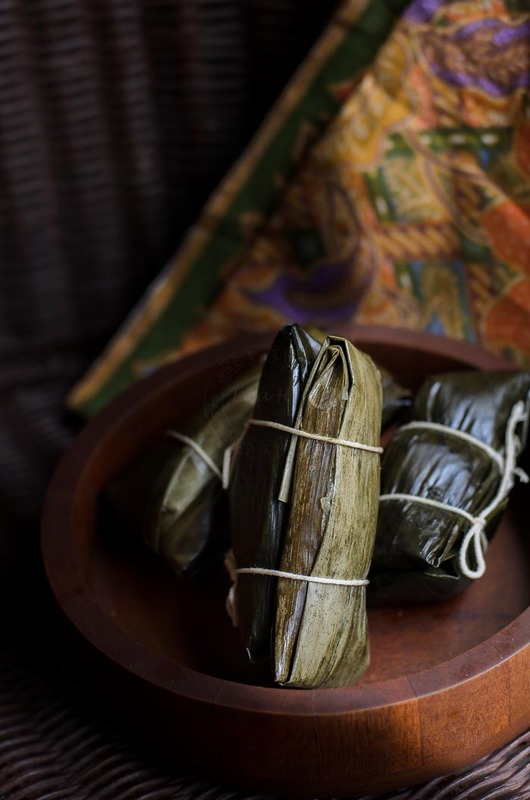 Filled my stomach till lunch time... but then if I were to have too many of these sticky rice banana parcels, I'd be dozing off half asleep at some corner of my house! Glutinous rice is heavy on the stomach as well as the eyes. 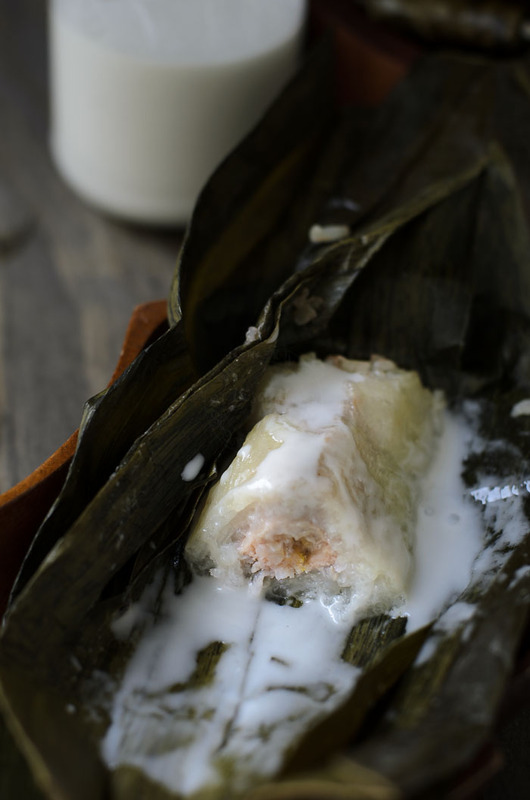 Sticky rice banana parcel, is best as eaten as it is, creamy, salty and some sweetness comes from the banana, but if you wish to be naughty and indulgence.... add some sweet coconut sauce!!! 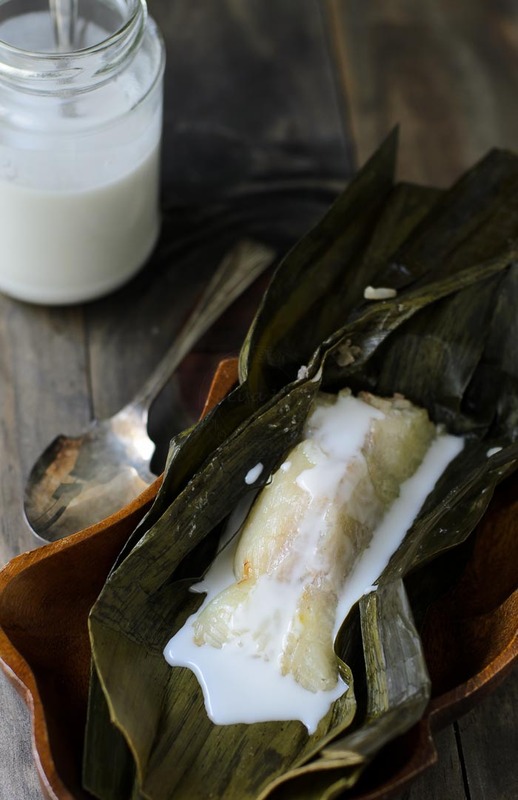 Mix glutinous rice, salt and coconut milk in a medium saucepan. I must say I have never eaten this before, but growing up without much money in the family, there are plenty of things from Malaysia I do not know about. For the past two years I am running a very small Malaysian eating place in NL. Malaysian food is not that welknown in NL, and therefore I am going to make this kuih for my client. AND for myself :) ! Thanks ! We are small nation compared to the rest of the world but we are rich in food and culture. You are most welcome to use and modify recipe to your liking :D.
They must be very delicious! !